Whither The Power of Persuasion? "If you grab them by the balls, their hearts and minds will follow." The latest round of evo-bio noggin-scratching concerns the possible genetic predisposition toward specific political directions. Typically enough the theorists are more nuanced in their presentation than are the chattering classes covering the discussion. With that caveat in place, I'll get on with my own overly-simplistic observations and thoughts. 1) It may be a by-product of my genetic makeup, but I'm somewhat skeptical toward claims of genetic determinism. The human capacity for change, or transformation, is remarkable, yet remains largely ignored. Why? What is required for beneficial change to occur? 2) What happens when persuasion does occur? Or: when can it be rightly said that you have, in fact, been persuaded? I'm thinking now of David Mamet's recent "conversion" to right-wing conservatism. It strikes me that while the central concerns of his rhetoric may have shifted, the rhetoric itself has not. On those occasions when he bothered himself with left-wing values, he defended them with as much (or as little) skill as he does his current preoccupations. His activity remains the same: rile up an audience primed for controversy. And yet he believes he's undergone a sea-change. What, if anything, has actually changed for him? 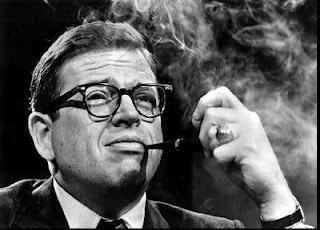 The question also applies, I think, to the late Charles Colson, who, in the early '90s, "shuddered to think" what he may have become had he not gone to prison, but who nevertheless relapsed to his earlier habit of deep political mischief. 3) I can think of political issues on which I've shifted support. I've no doubt I'll shift some more, as I age and observe and participate in democracy. I have occasionally been persuaded by an argument. But, more often than not, changes in opinion occur by experience, or encounters. Still, I rely on rhetoric to relay that encounter to others. This trait is unlikely to change. There was a line of Stoics who mulled over the possibility of determinism (or "fate"), yet concluded that even if human existence was a web of cause and effect it still behooved the individual to make the morally acceptable choice, even if that "choice" was an illusion. The argument appeals to me (see: 1)), so to that end I forward you to this meditation on the means of persuasion, as practised by James Baldwin, when he beat William F. Buckley in debate. Friday's post has been removed, along with (I hope) the plank in my eye. Like many other old-timers who have lived to rue the day they pitched ye olde record collection, I have eyed the expensive Japanese reformatted and remastered CDs and wondered if they were worth the bucks. Product description for these items assures the shopper that the CD packaging is faithful to the original album layout — basically you'll get your old record cover, as run through Poindexter's “Shrink-O-Matic.” But are the sound-files any different from what music companies are producing on our shores? This month I finally swallowed the lure, and added Led Zeppelin's ZOSO to my amazon cart. The packaging is indeed a faithful miniaturization of the original half-acre of cardboard released in '71 (curious how shrinking it down to a scant few inches also reduces the vague sense of menace that attended the once-notorious album). "The power of the commodity fetish," indeed. As for the sound-files, here are the visuals of “Rock And Roll” as it exists in three different releases. How does it sound? I have to admit it is the best of them all. When he tweaked the knobs for the original CD release, Page embraced the newly-discovered high end a bit too readily — which the Japanese remastering corrects, without swinging to the other (American?) extreme of super-boosting the lows. Is it worth the money? It depends. In this case, the item was only $20 (it seems to have climbed in price since then), an amount I have no qualms paying. $108 for Billion Dollar Babies, on the other hand, would be more difficult to justify — even if the sound quality of the American CD is so astonishingly shoddy it makes its $5 price-tag look like highway robbery. 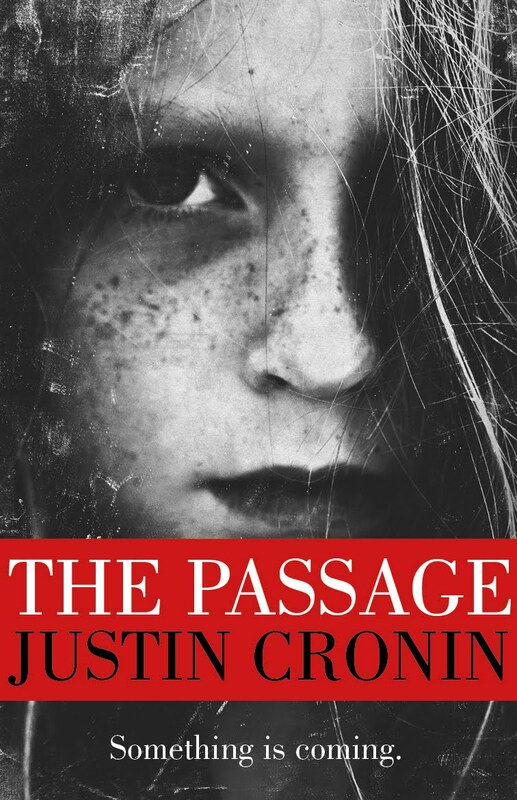 Justin Cronin's The Passage has been cheered by Stephen King (among others) for making vampires scary again. If read strictly on those terms, The Passage is only a modest success. Cronin morphs vampires in a manner indistinguishable from the way Juan Carlos Fresnadillo morphs zombies in 28 Weeks Later, similarly posing the Undead as the final, overwhelming threat to a diminishing colony of still-recognisable humanity. I can only conclude from this that Stephen King and I are kept awake by very different subject matter. Or maybe not. Perhaps what really thrilled King as a reader was the way Cronin wrested vampires from the narcissistic concerns of adolescent sexual desire, and used the blood-suckers to explore the weightier, more adult concern of legacy. If this is the more accurate take, it may be I am not so far removed from King's insomniac torments after all. 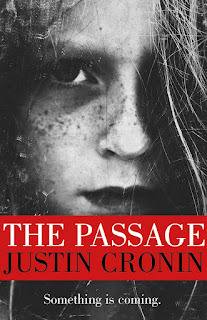 The Passage can be divvied up into two narratives: pre-vampire infestation, and post-vampire infestation. The first is dominated by the perspective of two protagonists in middle age, one a celibate nun from Africa, the other a divorced g-man grieving the death of his only child and the marriage that collapsed shortly thereafter. Both are tied into communities that seem disinterested in, if not hostile to, their existence. Both become deeply invested in the well-being of a recent young orphan. The second narrative is taken up with the survival concerns of young adults who have been colonised against the annihilating omnipresence of vampires. A fairly reliable state of defence has been cobbled together, but it is steadily eroding. These children are fully aware they are being shotgunned into an adulthood of harsh extremes. The questions every child contemplates en route to adulthood remain the same — Dare I hope for companionship? Can I permit intimacy? If I do, then what sort of world will we bring children into? — but are brought into sharper relief by an environment that has shifted from being merely dangerous to becoming overtly hostile. It shouldn't surprise the reader to learn the orphan of the first narrative plays a crucial, potentially salvific, role in the second. The first world is immediately recognisable as the one humanity is steadily poisoning; the second is the product of the first, and is suitably surreal and grotesque. 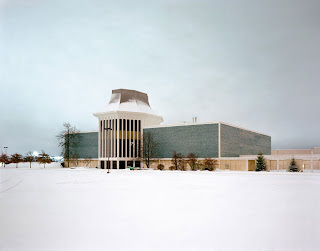 Cronin peoples these places with characters fleshed in via standard genre/YA fiction techniques: broad strokes and revealing episodes leavened by the occasional telling nuance, all sustained by a patient architecture of foreshadowing, red herrings, and lines of conflict that steadily build to a climactic show-down. Think of this book as a Left Behind for pantheist agnostics. By rights, this is the sort of thing that should deeply appeal to me. Alas, my appetite for epic pulp is rarely roused these days, and Cronin pretty much sated it by the halfway mark. So far as I'm concerned, this sort of reading is best achieved in foreign hotel rooms, or in the waiting areas of medical centres — where, in fact, I read the first half, as I taxied a family member to a variety of labs and tests (the status remains quo, thank you). The speed-reading quotient for this book was at least 65%, which is more than I like to apply to a book this large. Nevertheless, I genuinely wanted to finish this book, and begrudge neither the effort nor time. Whether or not I read the next book will depend entirely on its length — or its availability in foreign hotel rooms. My fourth and final year of university was, in some ways, my least enjoyable year. By then the 90s had begun, and PoMo LitCrit had swept over and drowned the humanities. In the case of literary studies, for every page of fiction I read, I was required to read another 10-20 pages of self-regarding/self-negating PoMo horseshit. To maintain both my GPA and my slender hold on sanity, I improvised a method of speed-reading (running the eye in a “Z” pattern down the centre of the page and letting peripheral vision sort out the important stuff — a form of “meta-guiding,” basically, which, despite the wiki claims, always worked fine for me). It is no fun whatsoever, but if you are pressed for time (and who among us is not?) it is the most efficient way to sift through and retain a large bulk of information. There's also skimming, which I think is quite different. Skimming is (in my case) reading the first paragraph, then the last paragraph, then glancing at the middle if there's anything about the first two that tickles the fancy. Skimming is also both pleasant and less efficient, and is what I resort to for well over 90% of what I see on the internet or in newspapers. No, speed-reading is quite different. It's work, for one thing. Just because it's fast, doesn't mean it is without effort. Olympic sprinters are fast, too, and when they're done covering the necessary ground, they're sweating. Speed-reading also, for whatever reason, induces a heightened state of anxiety in me. My heart-rate rises, my breathing becomes shallow and fast. If I speed-read for any longer than 10 minutes I need a walk of commensurate length to calm down (wore out my first pair of Doc Martens, my graduating year). I suspect speed-reading lights up the fight-or-flight portion of my brain, which, unless I'm playing Call Of Duty, isn't at all keen to be lit up. Still, it sure does come in handy — especially when confronted by a door-stopper of a book like The Passage, by Justin Cronin. About which, more tomorrow. "Alright then, girls: what's your favourite show?" The Twilight Zone (original series): Fail. The girls were content with the widely-absorbed stand-out episodes, but have zero desire to follow that up with more. The younger (13 years old) doesn't mind this show in small doses, but the older (15) hates, hates, hates it. There are a couple of reasons for this reaction, I think. First of all, it is a product of its time which is somewhat lost in translation to ours. The writers of the time were heavily steeped in the stage work of the day, and each episode plays like a Cliff's Notes for Ibsen or O'Neil. It's all about Freud, then, and the women come off particularly badly (“Stop trying to be my mother, Jane! Can't you see you're killing me?!”). 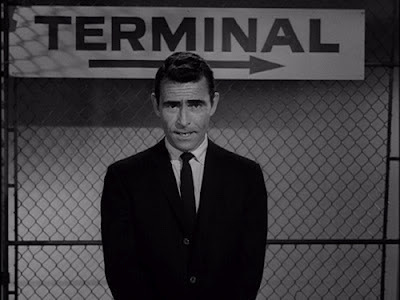 More than that, however, in the philosophical debate re: free will vs. determinism, Rod Serling falls squarely on the side of Fate. I've had to accept the unhappy truth that this television series plays best to late-adolescent beta males. Star Trek: The Original Series: Modest Success. The girls enjoyed the melodrama, especially in the more boisterous episodes, and incorporated the catch-phrases into their everyday conversation (“Are you out of your Vulcan mind?”). However, repeat viewings, which would gladden the old man's heart, are completely out of the question. I haven't yet tried TNG on them (still too expensive). My wife suspects they might like it better. 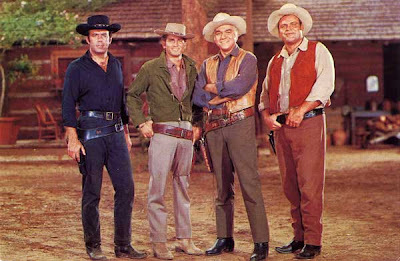 The Beverley Hillbillies: Modest Success. From a Sixties point of view, the show was hopelessly square. But is that really such a negative? From a broad yuks point of view, it's still good to go. Gilligan's Island: Hit! If another American television series has generated as many long-standing debates as this one, I've yet to hear of it. They're all debates about the nature of gender and sexuality, mind you, but still: I don't see any discussion boards alight with observations rendered from Six Feet Under. Gilligan exceeds all expectations, because we happily lower them the moment we sing the theme-song. Speaking of lowered expectations . . . Wanted: Dead or Alive: Fail. 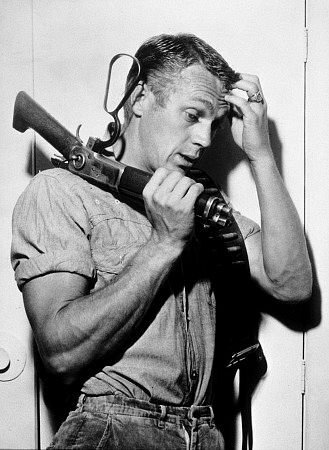 The vehicle that brought Steve McQueen to the public eye failed to elicit anything but a “meh” from the girls. In fairness, although we now lionize McQueen in memory, he was frequently an on-screen dud. "How can I get through to those girls?" I Spy: Fail. A revolutionary series for its bi-racial co-protagonists and exotic on-location international hijinx, the plot manipulations were, alas, onerous and poorly-paced, The girls abandoned it after a single episode. I tried a few others before following suit. Both Culp and Cosby were incredibly sharp customers (the commentary tracks are worth the time), leaving me to wonder if their (quite valid) personal concerns weren't included at the expense of story momentum. The Man From U.N.C.L.E. : Hit! At its heart this is a series about two good-looking guys (particularly the Russian) of small stature who get ordered into trouble, then weasel their way out through charm, intelligence and the modest application of muscle. Even the much-lamented third season hit the right notes often enough to keep us hooked. One curiosity: when I asked the girls for a favourite episode, I got vague answers. U.N.C.L.E. is one of those shows best remembered as a vast collection of favourite moments. Smallville: Modest Success. To be honest, it's a huge hit with the girls, but after four seasons I couldn't bear to watch any more. A group of clear-skinned twenty-somethings pretending to be high-schoolers, holding on to secrets that get them into trouble, especially once the snogging starts — it dawned on me that I was watching a high school fantasy. Too prurient for my tastes. The Waltons: Modest Success. Same as Bonanza, only with girls, and fewer Colt Peacemakers. None of the fellas were quite as dishy as Little Joe, alas. The Muppet Show: Borderline Fail. Another show of moments, the ones that work are often corny, off-puttingly nostalgic, or (best of all) just plain weird. The moments that fall flat, though, are sickly sweet and/or earnest to a fault. And then there's the Raquel Welch episode. If there's anything creepier than sexist hippie dudes drooling over a bombshell in a bikini, it's sexist hippie dudes doing the same with felt puppets on their hands. Somewhere there's a five-year-old boy who doesn't understand why he's feeling so strangely. 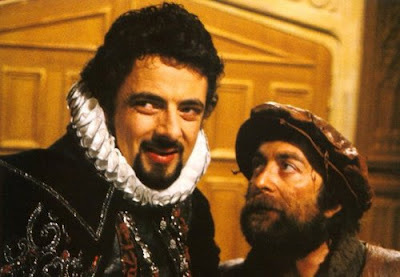 Black Adder: Hit! Boy, did this surprise me. I can remember watching this show in my early 20s and thinking its acidity was almost toxic. But that was then and this is now. The entire family loves watching the vile Edmund Blackadder abuse his witless cronies (especially Baldric). "If I know girls, and I believe I do, they're going to enjoy watching as I demean you!" Monty Python's Flying Circus: Hit! In fact, the girls enjoy watching it more than I do. Fellas my age have committed the funniest sketches to memory. The other sketches, while still amusing (usually), are sluggishly paced. It's remarkable that something as rough around the edges as the Flying Circus became such an enormous hit. But its success with the teens indicates there is still something there there. And the award for Startling, Unqualified, Absolute Hit Without Peer goes to . . .
. . . (would you believe?) Get Smart! A friend who's written for television tells me this show is the bane of every writer's existence, because when pitching to producers, the moment inevitably comes when the writer hears, “You know what I'm really looking for? 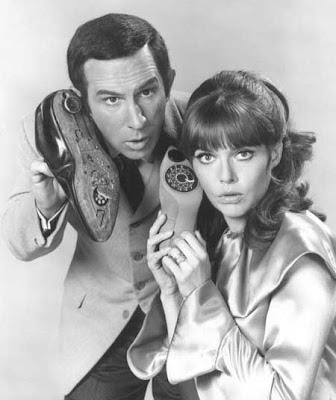 The next Get Smart.” It will never happen, because the next Get Smart will look nothing like the original Get Smart, which made innocent fun out of mocking just about everything The Establishment placed in high regard. These DVDs have seen, and continue to see, a great deal of use. Runners up: Fawlty Towers, and the first four seasons of The Simpsons. Currently watching: Lost. Another conversation-generating desert-island TV show, this one is a big hit with the girls, a modest hit with me. Sawyer and Said are the draw for the females in this family. I wish Kate had some appeal, but alas, she (really, really) grates on me. That's not the fault of the actor (Evangeline Wilson, a lovely young woman who digs deep for the desperately needed nuance) but the writing: Kate is not so much mysterious or even misunderstood as she is poorly-conceived. The writing for the other characters, though, is mostly pretty sharp. Friday Night Lights looks very promising. In another year or two, Mad Men might also make the cut. ... a Trekkie! I love it.